Older Single Mum: Win £150 John Lewis Vouchers for De-Cluttering Top Tips with Everest. Win £150 John Lewis Vouchers for De-Cluttering Top Tips with Everest. So the word on the street this month has included a great deal about de-cluttering our homes, our lives, our friendships and, consequently our minds. And there's no denying how much more space can be created in a relatively short space of time once we actually try it. 1) Tackle things ten minutes at a time. A drawer a day or washing down a wall can give you incredible impetus for tomorrow, or *gasp* even another ten minutes. 2) Leave off the wine until afterwards. It's amazing how 'tired' you can feel after a glass or two and how tempting it can be to leave even the ten minute tackling until tomorrow. 3) Reward yourself. Write a list of your achievements / dream de-cluttering jobs downsized into very small chunks and you'll be amazed how much you can achieve by the end of a day / week / week or two. 4) Believe in a place for everything and everything in its place. Friends who have actually visited my house may be surprised by my advising anything in this regard, seeing as it's not exactly the most organized-appearing place to be, however there is a lot to be said for organized chaos. I can put my hands on almost anything I'm looking for because, even at worst, there's an area for everything and and everything in its area! Work stuff on my desk, dastardly school paperwork on the kitchen side, non-work to-do on top of the microwave. 5) Use files. Years of office work means appreciating the simplicity of segragating and sorting. One file for Instructions, another for receipts and guarantees, another for finances, others for important documents, sentimental stuff and the like. Whatever works for you. 6) Be ruthess. Get rid of the kids' broken and outgrown toys when they're not around. Don't even entertain the idea of getting them involved. They'll suddenly want to play with everything they haven't touched in years. You know best. 7) Try to stay on top of things. It's very easy to let piles of this and that build up again once you've cleared away your *cough* areas, especially if it's an ongoing job and you're focused elsewhere, but it's best to be happy with one room than unhappy with them all, so set small targets and give yourself credit for each little achievement. 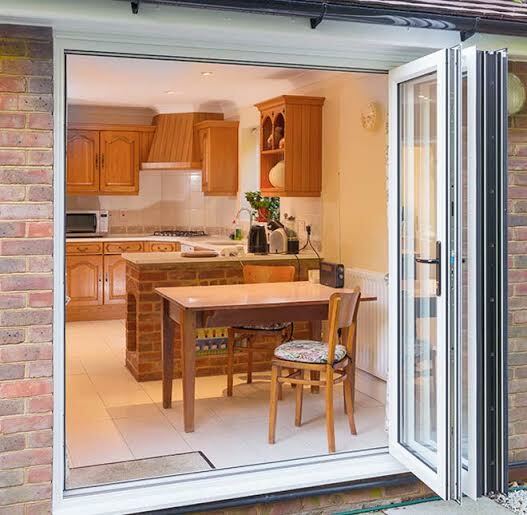 The great thing about Everest Home Improvements bi-fold doors is that the feeling of space you create - physcially first, followed inevitably by mentally - is that they allow you to go even further by enhancing the illusion of it in fine style. Check these out. What's not to like?! Everest bi-fold doors giving the illusion of even more space than the lack of clutter does. And today, they're generously giving away £150 of John Lewis vouchers to a lucky winner of our Rafflecopter competition. All we ask is that you leave your own top tip for de-cluttering in the comments via the Rafflecopter giveaway widget below and the winner will be chosen at random. Additional entries are optional. And the winner is Lisa Rowsell (@Lisa2062). Many, many congratulations and thank you everyone for entering :)). Schedule a decluttering weekend and get your kids/family involved too. The more hands pitching in, the better. Get boxes and bin bags ready, and plan a trip to a charity to drop off donated items. You might not get your entire house decluttered during one weekend, but it's a start! Really get rid of things you don't need (e.g sell donate etc) Often I 'relocate' items so it's not a proper decluter and I have to do it again in a few months! If you haven't used it, worn it or needed it in the last 12 months, then get rid of it. There is no need for it to take up space in your life. Declutter one room at a time. Have rubbish bins and boxes for donation ready. Best tip is to avoid clutter from the start, be mindful of your purchases. Don't buy things without a current need or purpose. What works for me is writing everything that I want to do down instead of mentally carrying it around with me! When I see visually what I have to do on a peice of paper it helps get me organised and set priorities. Also as the list gets smaller it motivates me to get more done. My decluttering tip is not to save stuff 'for best' but to use it up, and to stick to using stuff you love as much as possible. And if you don't love it then it's got to go. Get rid of ANYTHING that isn't absolutely definitely something you know you want and need. If you're just hanging on to it because you want to hoard it, get rid of it. You probably don't need 100 back issues of Cosmo, they would probably be better in the recycling bin! 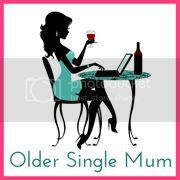 I am busy listing things I no longer use or need on eBay already sold 8 items and listing more today. This is really good to get your house de-cluttered it's so easy to do as well. Go through papers and bills that need sorting every few days so the piles dont just get bigger than end up in a massive job. As for clothes, toys etc, you need to be ruthless, I tend to have a box for selling, a big bag and a bag for charity, go through room by room and stuff you're not keeping goes in one of them. It really helps! Don't just put it down, put it away in its proper place. Plan a time to do it and comit to it. Tackling the worst room first so then you feel that you have achieved something when it is done. For me I always choose to do the bedroom first. My top tip is similiar as one of yours - do one room at a time - that way it is more noticeable (to your family too, so they can actually SEE what you've done all day! )and gives you a good feeling - just don't transfer it to another room or you'll have an even bigger job in there! one room at a time totally works for our family. the door then gets closed once it is done! 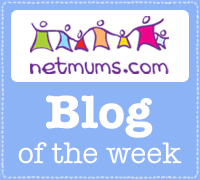 We have a sort out every month, and chuck anything that we don't use or is rubbish! Or, we try and sell stuff online to get a bit of extra money. I give most of the stuff I don't want to a charity shop. If u or they haven't worn it in 6 months it has to go. Simple strict rule! Tidy as you go, so the mess doesn't build up, she says looking at her over flowing desk. One in one out! I apply this (almost) every time I buy something new. If it isn't replacing something, it's usually unnecessary. Write a list of what needs doing and do a little each day. Little and often - ad breaks are perfect for putting things away or loading the dishwasher. Be ruthless. If you haven't used something for years, you probably never will. I find if you have the ability to make some money back on your clutter you're more likely to be ruthless! I tend to do a car boot once a year, anything that doesn't sell I donate to the charity shop. Regular little clear outs are best! Don't tackle it all at once! Do it in short stints so you don't get bored and throw what you don't use away. If you've not used it in the last year get rid!! If you haven't used it for a while give it to a charity shop. If there are things that you can't decide on whether to keep or not, put them all in a box somewhere and if you haven't used them in 6 months get rid of them. Create a sorting system. You can use the popular Three-Box Method of sorting clutter. This method forces you to make a decision item by item, so you don’t end up with a bigger mess than the one you started with. Simply - gather three boxes or storage bins, label them as follows: Keep, Get Rid Of It, Storage. Set the kids tasks to do and make it a game. Its amazing how quick it is to declutter. Have regularly clear outs and trips to the charity shop - or the recycling centre! Declutter a little at a time. Only start with one area then do the next so it doesn't get overwhelming. Be ruthless, do a room at a time and if you can sell stuff all the better for it. My house is a terrible mess but I'm slowly getting there, my tip would be however tempting don't just shove everything in a spare room and shut the door! It won't ever go away - at least keep the door open so you keep seeing the mess! Before every Christmas/birthday get your children to choose 2/3 toys which they don't play with any more or have grown out of and give to charity. Go through the contents of your loft/hall cupboard once-a-year, and consider throwing away or donating to charity anything you've not needed to use in the last twelve months. There are always those tricky items and I actually think its easier to declutter in one big go as you get in the mood for it and it becomes easier to be more objective about throwing things out. My tip is to think about why you are keeping it, I am a guilt keeper. I keep because someone special gave it to me not because I love the item so I am learning to seperate the two. If I hate it but someone special gave it to me, its ok to get rid of it! My top tip is to be brutal!! Or if you're not sure about something, store it outside the house and if you haven't needed in in 6 months time, get rid of it! get a friend to do it, you do theirs. be tough, what you dont need chuck or give to charity. If there are things that you *think* you might use again, put them all in the same place in a loft/garage. If, within a month or two, you've not used them, then get rid! Labelled storage boxes and garage or loft space! Be methodical and ruthless. If you haven't used it in the last year, the chances are you're not going to use it. Plastic boxes hidden under the bed. Clean like you're moving house - ditch the stuff you wouldn't want to unpack the other end! Not used it for a year then get rid! Put things in clear plastic boxes, take the rest to a charity shop. When you buy a new item you have to get rid of something. If you havent used it in 6months then you dont need it! I have a "one in, one out" policy when it comes to clothes because of finite wardrobe space. If I buy something new, something old has to go. I'm trying to apply this to the rest of the house too. Storage boxes are my saviour! They keep things tidy until I have chance for a good sort out, and a visit to the charity shop. I'd say be ruthless and then every couple of days spend some time making sure everything is spick and span! I'm aweful for letting it go on for too long and then having to spend a day clearing everything!! Regularly go round the house & fill up bags for the charity shops from Children's Outgrown clothes & toys to clothes no longer wear or that Have been replaced & books & D.V.D. 'S etc. Satisfying & nothing goes to waste!! Making the children leave home! ;) haha just kidding....decluttering whilst they are at school always helps me - then I can be really ruthless. Do a cupboard at a time so it's not too overwhelming! If you don’t love it or have a use for it clear it out or turn it into something new. I ask myself am I thinking with head or heart, if it's heart it goes! If you haven't used it or worn it in that past year, get rid! For clothes, reverse all the coathangers and as you wear your clothes, put the hangers back in as you normally would. That way when the year is over you will know what you haven't worn in a year and can get rid of. Be strict with the things you don't need and donate them to charity. Turn all your hangers round in wardrobe with a seasons clothes on it, anything nit put back the correct way after you change to next season can be removed for charity as you haven't worn it. My top tip is to turn all your clothes in your wardrobe inside out when you start to declutter, then at the end of the year if any are still inside out, you know that you never wear them and can get rid of them. I also always put summer and winter clothes away at opposite times of the year so I don't get bored of looking at them when I cant wear them. Tackle one room at a time and split that room into manageable chunks and tackle one chunk at a time. Never try to tackle everything at once! I have done a lot of decluttering this last week! I have both of my children's old clothes stored in the garage but I'm not planning on more children! I have just given the lot away to friends with younger children! I will enjoy seeing some of my old favourites being reused!! do it all in a big clear out over a few days! If you haven't worn it in 6 months get rid! I end up with a pile of paperwork accumulating on the kitchen table, so from 1 Jan I have a new rule - "touch this piece of paper only once" - I open the envelope, deal with it immediately and then file it away! It's working so far! Dedicate some time to de clutter. If you have no need for it re home it.. sell it! Ever so often going around the house and bagging what has not been used or worn for the last year or so. Whether is children or adult stuff. If items are broken set yourself a deadline to get them fixed, if you don't meet it, throw them away or pass them on to somebody else. I have storage boxes which I fill with either shredding, charity shop, storage or bin. As each box becomes fullI deal with it in the appropriate way. If I haven't worn a top this season, then I wont wear it the next, so I put them on ebay. Make a bit of money and de-clutter my wardrobe. Don't be tempted to store items you really don't want in the loft or garage "just in case". If it is not needed, swop, gift or bin it. Turn your hangers the wrong way round and then only turn each one back as you wear each item of clothing. After a few months you will be able to clearly see what you don't wear and can get rid of. your unwanted items will become someone elses treasure,put unwanted items in a bag and take straight away to charity shop!other wise you may change your mind!! Just being ruthless and not getting too attached to junk you don't need! I ask myself two questions: Is it a memento? Will it be useful in the future? my tip would be about decluttering toys - asking children to sort through toys can be difficult, so I used to do this when my daughters were small: sort some toys that your children no longer play with and put them in a box out of the way where they can't see it. If they haven't asked for them in three months time, donate the box of toys to a charity shop. I have a rule - every time we buy something new, something old must go. Top tip for decluttering - if you haven't used it in the last month get rid! And don't buy things tat you are only going to use once a year - someone will have one you can borrow! Everything has its place and gets put back there, you always leave a room as you find it! And...getting into the habit of not buying STUFF! Be ruthless, and if you haven't used it for a hundred years then it's time to say goodbye! Declutter every month and if you buy something new donate to charity an item each time. My wife doesn't allow clutter from the start! Anything new in the house has to replace something else, which gets disposed of somehow! Oh i love to de clutter! Every month I go around with a bag and see what has been brought in over the month, what doesn't fit etc and sometimes I can get rid of things one month that I didn't feel i could the month before! Be brutal, take all those books and clothes you won't ever use again to the charity shop. Do it often so it doesnt build up! If you haven't used it in 12 months, stick it on Ebay and buy some new clutter! My tips are to be sensible. Don't get rid of too much, or too little. And please only give decent stuff to the charity shops. Don't lumber them with loads of tat and rubbish. A good rule is that if you haven't used it (or missed it) in a year then you should remove it. Do one room at a time and set timer for just 5-10 minutes. As soon as you have finished, take the 'stuff' straight to the tip or charity shop and don't go back and try to buy it again! I think the best way is one thing a day for a certain amount of time, say two weeks. Argh, I'm in the midst of a major decluttering right now - painful! My top tip is to focus on one manageable chunk at a time - so I do a chest of drawers or a wardrobe or a desk at a time. Baby steps! Start with just a drawer or cupboard and get more ambitious when you are used to it - it took a long time for the clutter to build so it will take time to clear it. Recycle regularly, sell unwanted items and buy decent storage. Personally a fan of under bed storage! i sell all my unwanted good and clothes and get rid of any old items i have no use for. Declutter, be ruthless! If its not been used, worn etc for a year then its time to recycle or donate. Start as you mean to go on. Do not buy unnecessary things that will make your home cluttered. we go through all the wardrobes and cupboards twice a year for a good sort out, they soon get full again though! I get my children to help by asking them to pass on any toys they don't use anymore, and we donate them to charity. have a red tag area that you put everything your unsure about. if its still there in a month get rid. Don't put it down, put it away. And never go upstairs empty handed - there is always something you can take with you to tidy away. Get a friend in to help, they can be the sensible one when you want to hang on to that dress you haven't worn for 20 years! only keep what brings you joy, and have a good solid clear out every month! Be ruthless, if you forgot that you had it, then you don't need it! Start planning a de-cluttering schedule room by room! Get a few storage boxes for the items you would like to keep & store them either in the loft or garage. File paperwork on a weekly basis. Shred old personal documents & recycle the rest. I think it's important not to do too much at once as it can seem overwhelming. Tackle one room at a time and have a breather half way through as de-cluttering can get addictive and you can end up regretting some of the stuff you throw/ give away if you're not careful. Take a step back and evaluate the situation later on to check that you definitely do not need the things you're getting rid of.